Why Buy a 2016 Audi A5 Cabriolet? When cruising around on a beautiful day, there is nothing like being able to drop the top on a convertible car. The 2016 Audi A5 Cabriolet is definitely one of the best looking convertible cars in its class. Good gas mileage and a smooth ride also help the Audi A5 Cabriolet to stand out from the crowd. Drivers will also love the A5 Cabriolet’s comfortable ride and poised handling. On the inside, this convertible shines due to the use of high-grade materials. The new 2016 Audi A5 Cabriolet now comes standard with the sporty S-line appearance package. Although the S-line package was available on the outgoing model, buyers had to fork out more money in order to get it. A new red paint color is also now available. When traveling on the open road, the 2016 Audi A5 Cabriolet can easily return about 29 mpg. The extra gas mileage will certainly help to reduce the car’s total cost of ownership. Drivers who have a light foot could possibly save even more fuel while behind the wheel. Long-distance road trips are especially rewarding. An AWD system comes as standard equipment. As car enthusiasts may already know, Audi’s Quattro AWD system is among the best. As soon as the sensors detect a reduction in traction, the computer automatically transfers the necessary torque to the wheels. Drivers can just sit back and focus on the road. Aside from the increased traction, the Quattro AWD system also improves cornering. The 2016 Audi A5 Cabriolet certainly has a lot beautiful appearance. While the car is attractive with the top up, it looks even more spectacular with the top down. The S-line trim gives this convertible a commanding presence on the road. Designed with an aggressive grille, the A5 Cabriolet will receive more than a few compliments from other car enthusiasts. The standard power source is a turbocharged 2.0-liter, four-cylinder engine. When needed, the boosted motor can produce an engaging 220 ponies and nearly 260 pound-feet of torque. When accelerating, drivers are unlikely to experience any turbo lag. While there are more powerful options on the market, the Audi A5 is still a satisfying performer. While the drop-top A5 does not offer a manual gearbox, the eight-speed automatic transmission does not sacrifice much performance at all. Several automotive magazines have praised this transmission’s overall responsiveness. Although a manual mode can be activated, most drivers will simply allow the computer to do the work. It is far more advanced than the average automatic transmission. Although the backseat can be a bit challenging for some passengers, the front seats offer plenty of room. Even tall people will be able to remain comfortable for hours at a time. The 10-way adjustable front seat enables drivers to find the perfect sitting position. The 2016 Audi A5 Cabriolet is a great alternative to some of the smaller sports cars on the market. Although convertibles are typically viewed as warm weather vehicles, the A5 Cabriolet’s capable AWD makes it a year-round driving machine. This is a major advantage for the owners who want to use their Audi A5 Cabriolet as a daily-driver. While some of the other convertibles must remain in the garage during the winter, the A5’s superior traction allows it to handle frozen weather. A lot of nice features come standard on the 2016 Audi A5 Cabriolet. Leather seats help enhance the car’s overall luxuriousness. Meanwhile, the 10-speaker audio system delivers high-quality sound reproduction. Some of the other standard goodies consist of an iPod hookup, automatic headlights, and satellite radio. Audi’s popular MMI infotainment system also comes standard. The 2016 Audi A5 Cabriolet is a very smooth performer on the road. Whether the driver is commuting to work or enjoying a weekend trip, they will find the A5 to be a rather engaging automobile. During performance testing, the A5 Cabriolet’s ABS system proved to deliver impressive stopping power. However, high-tech features such as blind-spot monitoring and a rear-view camera improve the car’s safety profile. Unlike the coupe model, the convertible version of the 2016 Audi A5 does not offer a manual transmission. 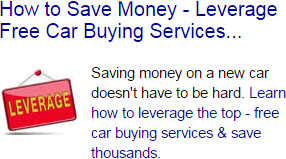 This could be a letdown for some car shoppers. Prospective buyers can expect to pay at least $50,000 for a new A5 Cabriolet. Although the drop-top A5 does deliver the excitement, there are less expensive alternatives on the market. Getting into the backseat area can be a chore. While the seats can accommodate adults, they will likely feel a bit cramped. However, headroom is a non-factor when the top is down. As usual, both Mercedes-Benz and BMW produce convertibles that rival the 2016 Audi A5 Cabriolet. According to experts, the A5 is expected to have a higher resale value than the BMW 4 Series Coupe. Although the Mercedes E350 Convertible is a solid vehicle, the A5 beats it in terms of overall value. The 2016 Audi A5 Cabriolet will win over a lot of car shoppers due to its breathtaking styling. However, the car is also fun to drive. 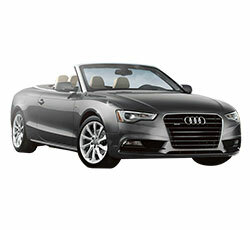 While its total cost is a bit on the expensive side, the A5 convertible does reward owners with a strong resale value.